Throughout life I’ve used the question “What music are you into?” as a shorthand to check my compatibility with new acquaintances. Even if the answer is a genre I find excruciating, that’s always more preferable than a non-comital “Anything really”. Since receiving that first walkman, I can confidently say that not a single day has passed where I didn’t actively listen to music. So watching Clip of Henry, an extract from the documentary Alive Inside, it was easy to see myself in Henry’s place and share the joy he feels when ‘unlocked’ by the music of his past. 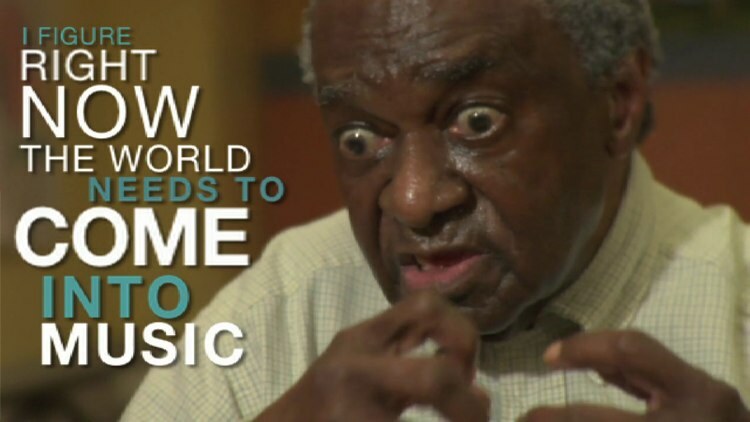 Michael Rossato-Bennett’s documentary follows the work of Music and Memory Executive Director Dan Cohen and neurologist Dr. Oliver Sacks, who use iPods loaded with music to ‘awaken’ the minds of nursing home residents who were previously considered unreachable. Clip of Henry confirms and illustrates everything about the power of music I’ve instinctively known but could never fully express. Alive Inside will have its world premiere on April 18th at the Rubin Museum in New York City and if you’re moved by the work of Music and Memory you can help out by taking part in their Give an iPod programme. Oh and here’s some Cab Calloway just for Henry, how could a track this great ever fail to bring you back to yourself.